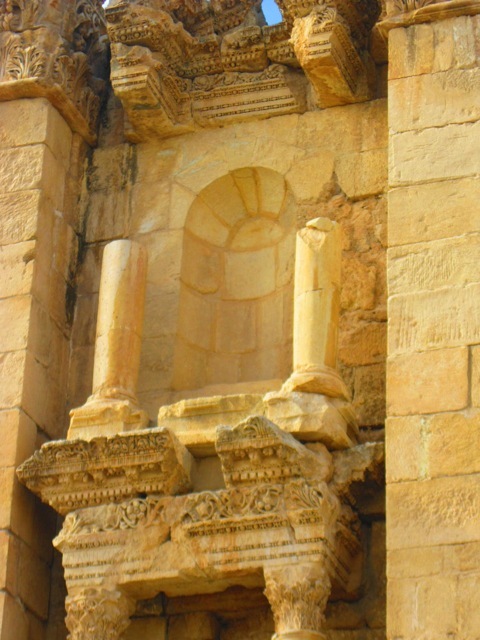 While scrambling around Roman temple ruins in Jordan on a recent trip, I reflected on the long reach of l’edicola. 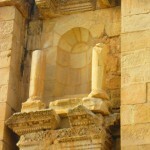 Le edicole – small niches holding images of divinities – flanked temple entrances or splendid city gates in the ancient world. 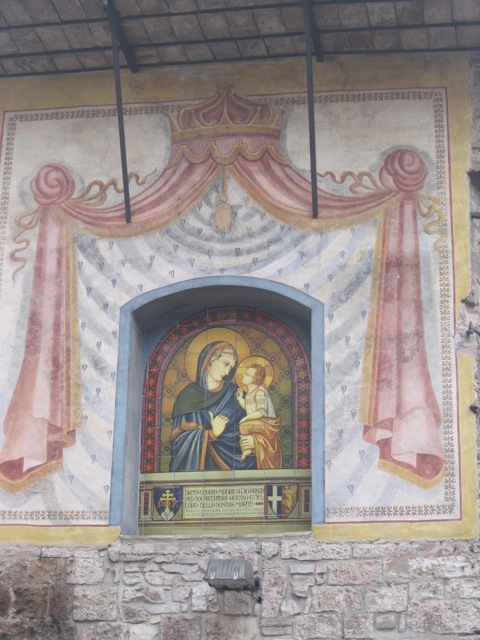 Edicole live on in Italy today but the images have changed: the Madonna, the Sacred Heart or the town patron saint are venerated in these small shrines on street corners, over doorways. 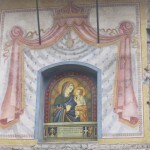 In the Assisi edicole, images of St. Francis and St. Clare appear, too, often frescoed or sculpted or figured in small maiolica masterpieces. As you stroll, keep an eye out for the many simple shrines. 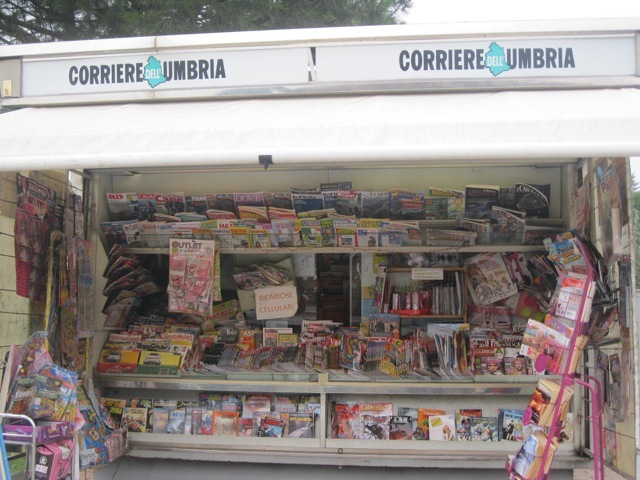 Your walk might end up at another sort of edicola: the local newsstand (“edicola”in Italian). From divinities to saints to newspapers: this is the long reach of l’edicola.